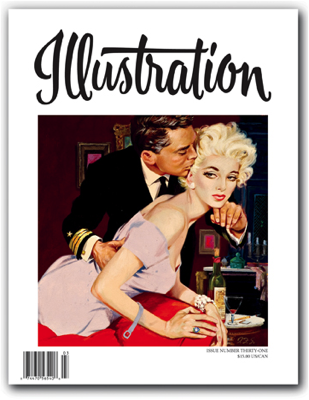 In this Issue: Illustrator J. Frederick Smith, who successfully transitioned from illustration into glamor photography, staying at the top in both fields. Next up we feature John Fleming Gould, one of the most spectacularly prolific illustrators of black and white interiors in the pulps. Our last feature focuses on Clark Hulings, known for his fabulous paperback covers of the 1950s and ’60s, and for his realist fine art paintings today. 96 pages in full color. Sold out.